Geoff Lucas is the Chief Operating Officer of McGrath Estate Agents. He joined the Sean’s group in 2007, the same time that his daughter, Dominica, joined the Kid’s Group. Dominica, now 16, joins him at the morning training sessions. You are part of a popular father/daughter combination in the morning As a parent it is very special to be able to both do something you love together. It’s also incredible to watch the progression from a little 8 year old into a young lady of 16. It’s been wonderful to be part of some of the friendships Dominica has developed through the group and her competition as a younger athlete. We both enjoy the challenges of early mornings and being accountability partners for each other when one doesn’t quite feel like training. Attending the camps with your daughter is also an amazing experience. As a father of three daughters, we often go away as a family – the camps provide a unique opportunity to have one on one time both travelling and in the down times at the camps – unrepeatable opportunities to enhance the bond between father and daughter. You are an excellent masters runner. What have been some running career highlights for you during your time with Sean? Yet to reach a 10k or marathon PB… however running a sub 3 hour Sydney marathon a few years ago is I guess a statistical highlight. For me, the highlights are really being able to come along to the group and know that if you put in consistently then you will be rewarded with both improved fitness, training and race times. I also get a buzz out of seeing people new to running come along, embrace the sessions and improve out of sight. By far and away however are the friendships and camaraderie developed through the group and meeting so many of the new faces that have come, gone, stayed and come back. Do you have any ‘friendly rivalries’ with any of your training partners? Everyone’s a rival! Seriously though the women in the group seem to enjoy beating up on me – I like to think that’s ‘friendly’! One of the great things about this group is that it’s so diverse and no matter what level you are at, or even if you’re coming back from a layoff, or super fit, there are always people to ‘compete’ with. So you can benchmark your progress by whom you’re running with, who’s running past you or who you think you can catch. There’s always another level to get to. 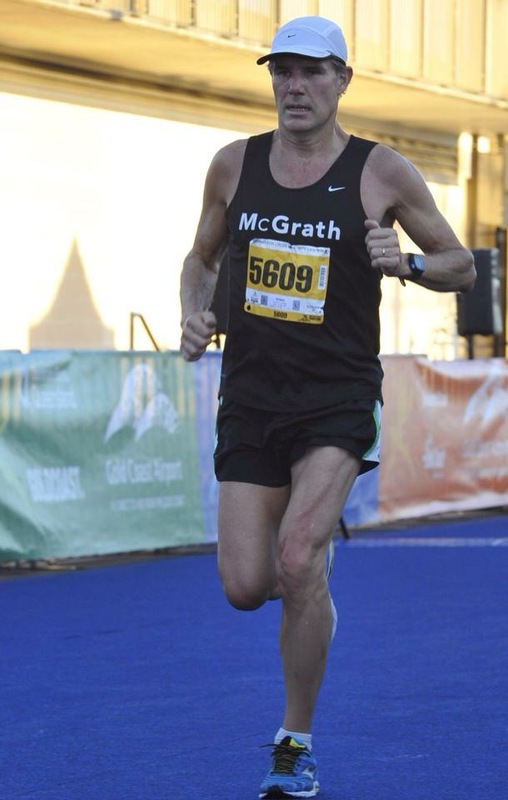 As COO (Chief Operating Officer) of McGrath Estate Agents, you have been instrumental in forging probably the biggest non-running shoe company related sponsorship of elite runners in Australia. What is McGrath’s primary goal with this sponsorship? Running has to be one of the most underfunded sports in Australia. We have so many incredibly talented athletes in Australia, who train their guts out, and often put their careers on hold to represent their country – for the love of their country and of their sport. We are by no means a large company, however by assisting athletes in a small way, we recognise it makes a difference and assists them to pursue their goals. It makes sense as we like to be very active in all the communities we serve – so to have our brand represented by some of our best athletes, competing around the communities, its win/win, especially as we continue to grow our business into new states and communities. We love how the running community has embraced the singlets – often we have kids wanting to buy them to emulate the look of their heroes. What is it like having Sean Williams as a coach? Sean’s been wonderful. Doesn’t often feel wonderful when you want to take it easy – he sees that pretty quickly, but one of his great skills is to know when you can do more, and what you need to do to improve. He’s also a great role model, being such an accomplished athlete himself. Sean’s one on one meetings are also invaluable – he has an unparalleled bank of knowledge to draw on, and is able to set challenging however achievable goals for all members of the group. What are your upcoming running/racing goals? I’ve suffered a few injuries over the past couple of years – not enough stretching or strength work – so my goal in 2015 is to put together a good solid year of training and if all goes well, I’ll aim up for a decent time at the New York marathon in November. If there is one race in the world which you would like to do but haven’t entered yet, what would it be? I guess the one I’ve always been interested to do is the Hawaii Ironman. I qualified a few years ago however couldn’t make it due to work. Perhaps when I retire I might give that another crack.